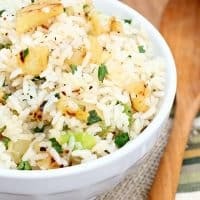 GRILLED PINEAPPLE RICE — Pineapple slices and green onions are grilled then tossed with rice in this special side dish that’s loaded with flavor! 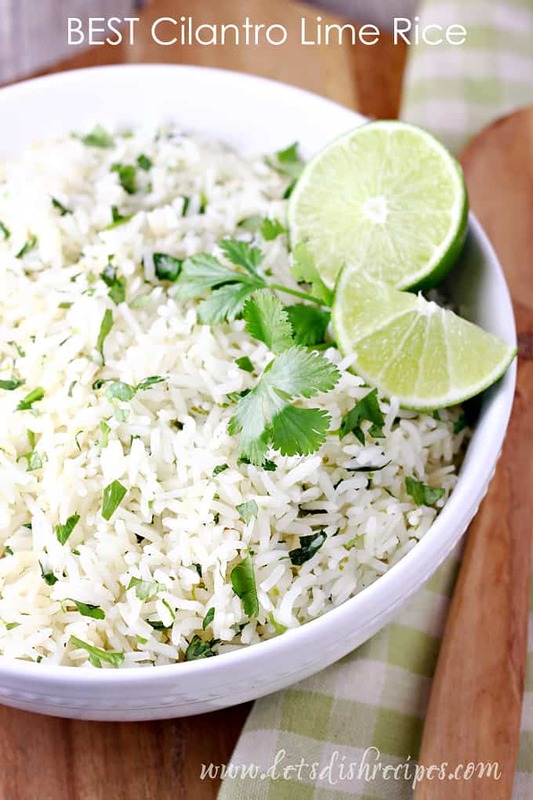 Rice is pretty much a side dish staple at my house. It goes well with almost anything, and more importantly, I know my kids will eat it! But it does get a little boring, which is why I love this kicked up Grilled Pineapple Rice. 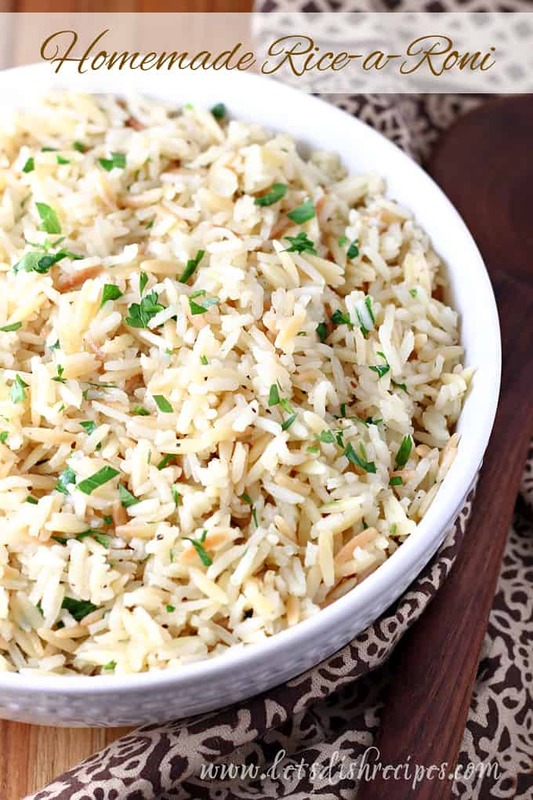 With just a few simple ingredients and a few minutes of grill time, plain old rice will never be the same again! 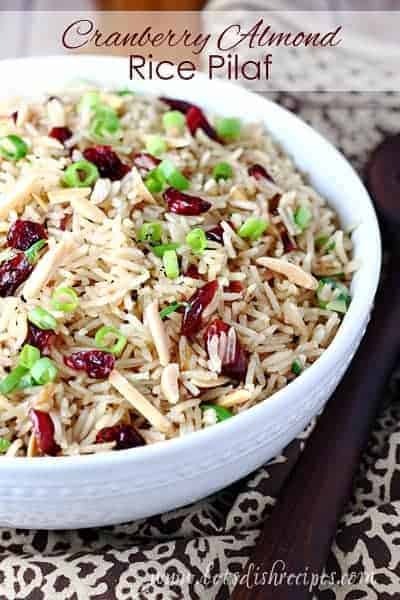 I love the combination of sweet and savory flavors in this rice, and it’s an especially perfect side for all of those grilled summer dishes. I grilled my pineapple and onions indoors on a grill pan, but if you’ve already got the grill fired up to cook dinner, go ahead and use that! When it comes to side dishes, it doesn’t get much easier. In fact, this didn’t take much more effort than cooking up plain rice. And my family loved it! This is such a great summer side, because it’s perfect with grilled chicken or steak. But it’s also delicious with any kind of Asian inspired dish, and goes wonderfully with a pork tenderloin, or even shredded meat tacos. This is one of those great recipes that you can really make your own. I like adding other grilled veggies–bell peppers are especially nice. And brown rice is a great option for an even healthier dish. You could even add some grilled meat and make it a meal! Don’t be afraid to experiment with this one, and I’m sure it will become a regular in your side dish rotation. 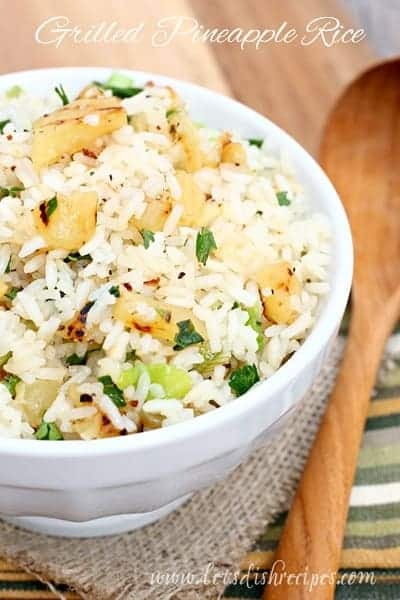 Be sure to save this Grilled Pineapple Rice recipe to your favorite Pinterest board for later. Cook rice in chicken broth according to package directions. Toss cooked rice with 1 teaspoon olive oil. While rice cooks, grill pineapple and green onions in a grill pan, or on an outdoor grill, until charred. Chop grilled pineapple and green onions into bite-sized pieces. Toss pineapple and onions with rice and season with salt and pepper, to taste. You can substitute pineapple juice for some of the chicken broth, but the rice tends to stick to the pan, so keep an eye on it! Can you substitute fresh pineapple for canned? I would say about 6. But it really depends on who you’re serving and how much they eat.